On a recent trip to Queens, the highlight of many highlights was unquestionably the soup dumplings at Nan Xiang Xiao Long Bao in the culinary Mecca of East Coast Chinese cuisine, Flushing. 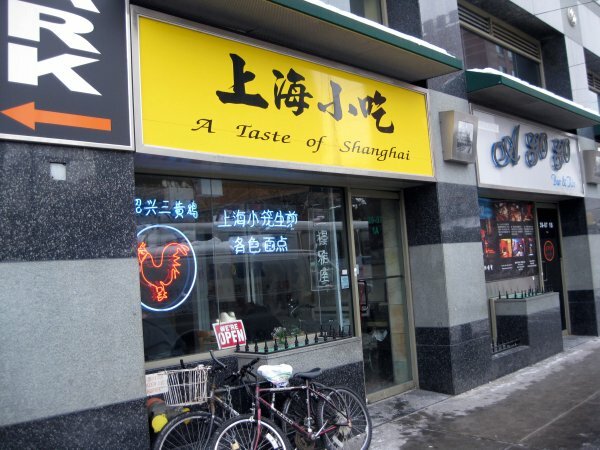 It is deservedly named after the city that originally invented XLB, Nan Xiang. This is the first soup dumpling operation I’ve ever been to where they are literally made-to-order. Make your request to the server and watch as the dumpling maker rolls out your wrappers right there in front of you. Yeah, it takes a bit more time. But after trying them out, you won’t care less about the 20 to 30-ish minute wait. Unlike many other highly-respected XLB places, these wrappers are light and mildly pliant (al dente), not being either gummy/sticky or dried out. What fascinated me most about them, though, was that they weren’t translucent, a characteristic I seek out in XLB. Nan Xiang’s wrappers are made ever-so-slightly thicker so that they can hold the huge amount of soup contained within them and yet somehow still retained a grace to them often found only at the most meticulous of XLB places. The soup is subtle and has a seductive level of fattiness and unctuousness. They are in total harmony to one another, something one usually seeks out when looking for the ever-elusive, perfect xiao long bao. The pork/crab fillings had a nice density and weight to them as well as a nice slightly creamy texture (no doubt loads of fat). Not only are these the biggest, softest, most voluptuous soup dumplings I’ve ever tried (I swear, once they cooled down, I was seriously considering “motor-boating” the damn things), but, overall, they were some of the tastiest and most enjoyable XLB I’ve had anywhere, certainly in the NY area. XLB at Nan Xiang has the perfect combination of refinement as well as grit. The classic and never-ending debate between XLB-heads is always about these two schools on what constitutes an ideal soup dumpling. Nan Xiang is a perfect hybrid of the two philosophies. 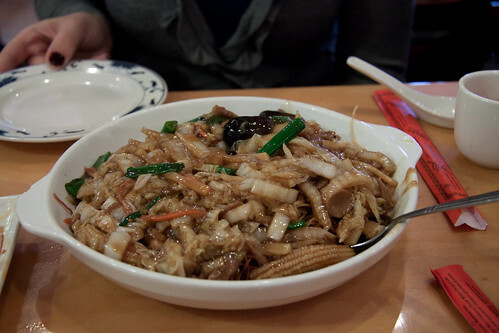 Think Din Tai Fung cross-bred with Mei Long Village (San Gabriel, CA) and it yields Nan Xiang in Flushing. A flaw that some might find with them, though, is the awkwardness when handling these behemoths. Unless you take the utmost care and have a pretty good idea how to naturally manage a soup dumpling, a squirting shot of molten-hot soup is guaranteed. Be careful here…someone could lose an eye. I even saw one guy literally puncture the wrapper and drain the soup into his bowl before even attempting to consume the dumpling. At first I laughed and thought the guy was a complete rube. But after trying one or two myself, I soon came to realize that this guy was obviously a seasoned veteran of the place. I continued to eat mine in the more traditional way but paid the price by having to walk around Flushing with XLB juice all over my shirt. Who’s the rube? 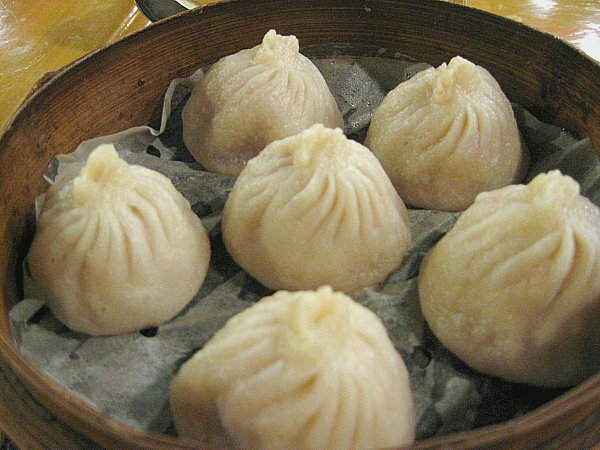 Nan Xiang’s xiao long bao alone would easily be reason enough to make a trip to the ever-burgeoning Asian scene constantly expanding in Flushing over the last few years. If you enjoy xiao long bao, take the “7” train out there. You won’t regret it. Nan Xiang for some reason prefers to make 6 X-large dumplings instead of the more usual 8 or more per order. Thoughtfully served piping hot. Super-sized Xiao long bao made-to-order. Great post, per usual, PIGMON. It just reminds me that a long overdue trip to NYC has to be made a priority next year. If I leave now and speed, I can make Queens by 1 AM. They are open 24 hours, I hope? As a big fan of Nan Jiang, I chuckle when I see the hordes clamoring to get into Joe's Shanghai. Still, If I don't feel like journeying to Flushing from my house deep in Brooklyn, either Joe's location will do. Also, New Yeah Shanghai Deluxe does a better than average job of them, too. Liked the XLB at Nan Xiang a lot. My preferred method for eating XLB anywhere is to bite a tiny piece of the wrapper off and drain the soup into the spoon, then add some vinegar/ginger into the filling before eating the dumpling. Also excellent were the scallion pancakes, turnip puffs, savory soybean milk, fried crullers. Had some other things I can't recall now but everything was well done. Definitely prefer Nan Xiang to Joe's Shanghai, at least these days. Joe's Shanghai was better back in the mid 1990s. Pretty much stumbled into several of the scores of terrific Chinese restaurants on different nights (with no previous recommendations) and was dazzled every time....but think I missed this one......will make it a priority next trip (hopefully soon). On a recent quick visit to NYC, my dining companion and I made an afternoon pass through Flushing based on input from LTH (and notably Pigmon and trixie-pea). Our first stop was Nan Xiang for Xiao Long Bao. Starving and expecting the dumplings to take a while (we were warned), we ordered a couple of other dishes to get us started. Served cold, these were crunchy and tasty, though the chili oil gave a rather one-note flavor to the heat. Perhaps poor ordering on my part, but this dish kind of sucked. My dining companion (who has recently been converted to the ways of great Chinese food) remarked that this dish represented everything she hated about the Ameri-Chinese food she grew up on. Goopy brown sauce covering over-cooked veggies and textureless shards of meat. The Xiao Long Bao were delicious and well worth the visit, but based on my experience, I'd order just those and save valuable stomach space for the rest of Flushing's offerings. I grew up in Flushing, and lived through the transformation that turned it from the working class, mixed but predominantly Caucasian neighborhood of my youth into the dense, strong Chinese and Korean communities that form its current makeup. Walking on Main Street in 2010, it feels like a whole different world from where I grew up, and I'm looking forward to more opportunities to explore it. Last weekend I had time only for a very short jaunt into Flushing, and ended up at a place called A Taste of Shanghai because of its proximity to a parking spot and an empty seat in the window. I immediately called a friend who knows the area well, and asked him if he knew the place and - if so - what I should order. His answer: you picked the place that makes the second best Xiao Long Bao in NY (Nan Xiang, he said, is far and away the best). 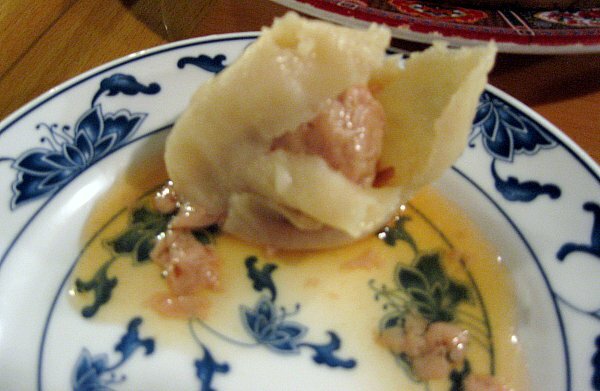 The dumpling itself was fantastic: delicate but with enough chew to let you know you were eating something. Really terrific. The soup and pork meatball were just OK, I thought - a little blander than I'd like. 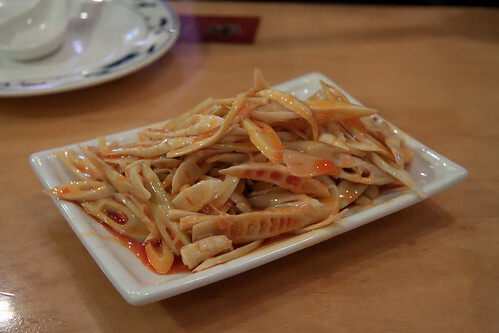 These were served with the traditional soy-vinegar-ginger concoction, but I've got to admit, I don't love that stuff. I'd rather have a more full-flavored broth that doesn't need it. 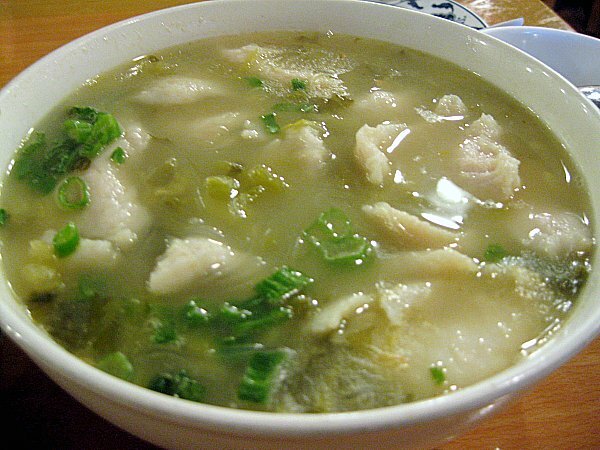 On the other hand, the fish and sour cabbage soup at Taste of Shanghai was fantastic. This was a strong fish stock, with an intensity that was definitely needed to stand up to the fermented cabbage. Loved the soup. When I read trixie-pea and pigmon’s reports about Flushing, I thought, wow, what a fantastic job they did researching and hitting a broad spectrum of places. I still think that, but driving/ walking through the neighborhood last weekend, I also realized that their reports likely just scratch the surface. There are a gazillion interesting-looking places to eat in Flushing, including in the densely packed Korean pockets a little east of Main Street, towards and crossing over into Bayside. As I just mentioned in this thread, I had a wonderful eating day in Flushing, and a great first visit to Nan Xiang Xiao Long Bao. The crab and pork crab dumplings were fantastic, but the scallion pancake with beef was also excellent. I arrived at about 11:30 a.m. on a Friday morning and was thrilled that I did not have to wait to be seated. Recently returned to Nan Xiang and in addition to enjoying the XLB, I ordered a tofu dish with mixed vegetables that I noticed on another table, thinking it looked a lot like the Jade Tofu I love so much at Lao Hunan. Well, looks can be deceiving. I didn't love the overly chewy tofu and the sauce was not nearly as flavorful as it looked. It just didn't come close to the wonderful Jade Tofu at Lao Hunan. So while we might be jealous in Chicago of the XLB found in New York, no need to be jealous of this particular tofu dish. 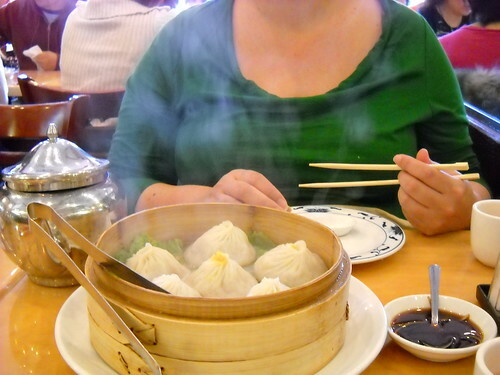 See what you think about this video posted on Quartzy--the Shanghainese guy says NYC's XLB are no better than average. Average XLB in NYC? Nope, not buying it. But perhaps this guy was on a mission to convince himself of such since he's from Shanghai. I'd kill to get XLB in Chicago anywhere near as good as the many you find in NYC. My last visit to Nan Xiang was almost 3 years ago though, so maybe things have changed, but I recall them having thin wrappers. Whether they now have less skilled XLB makers or whether this guy had an average one, I don't know. In any event, while I might have had better ones in Shanghai, the ones I've had at Nan Xiang on multiple visits certainly compare to the delicious ones I had in Shanghai. But the best I've had in the US are at Dim Sum Garden in Philly. I loved the crab and pork XLB I had at NXXLB back in August on an impromptu dumpling tour of Flushing.